This Kaba Unican 4027 Rim Deadlatch with 60mm backset is designed to suit the Kaba Simplex 7106 mechanical digital lock. The lock is packaged for an inward opening door. For an outward opening door, the latch can be reversed but we recommend this be done by a professional if required. A box strike is supplied for inward opening doors only. The main latch bolt is deadlocked by way of an auxiliary latch. Turn the thumbturn counterclockwise to retract the latch. Turn the thumbturn clockwise to keep the latch retracted (hold back) and turn back to the left to bring the latch back to its normal extended position.The lock accepts a standard flat type tail piece found on most rim cylinders. 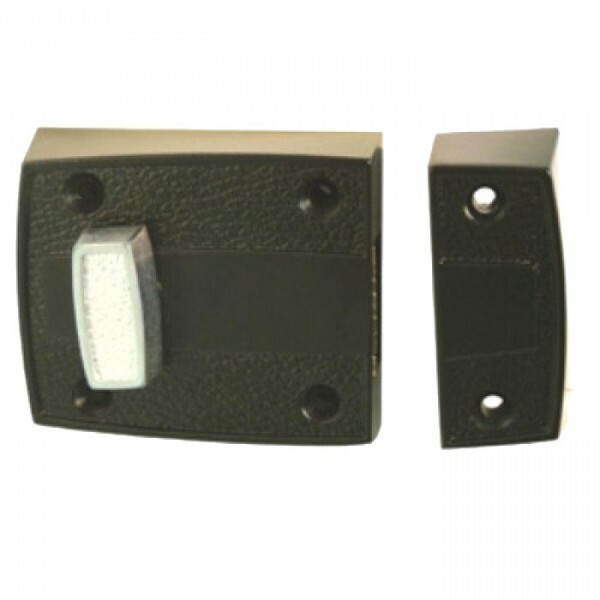 The Kaba 4027 rim deadlatch is weather resistant and supplied with a Kaba 3 year warranty.